We ended last week with the sixth annual Engagement Excellence Awards, which I’ve been lucky enough to be a part of the planning committee for the last four years. 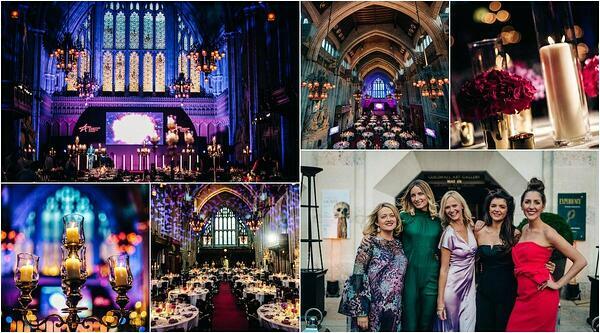 We celebrated with 300 attendees at the Guildhall, London. The Engagement Excellence Awards are one of my - if not absolute - favourite times of year. The awards celebrate companies that are leading the way in employee engagement and those working to make the world a better place to work. Beyond the canapes and glasses of bubbly, the event celebrates the employee engagement journey that our clients are on, and I hope it was inspiring for all that attended. The winners, which won awards including categories such as "Most creative communications" and "Most unique company benefits," are the best in class and selected from hundreds of applicants by an independent judging panel of skilled HR benefits and rewards professionals in the industry. The scoring system looked at how each company had set up objectives, the approach and strategy for completing those objectives, and the subsequent results. You can find all the winners and their stories by visiting our dedicated Winners Page. Or, head over to our photo gallery for even more photos from the night, including the winners with their trophies, photo booth moments and more!